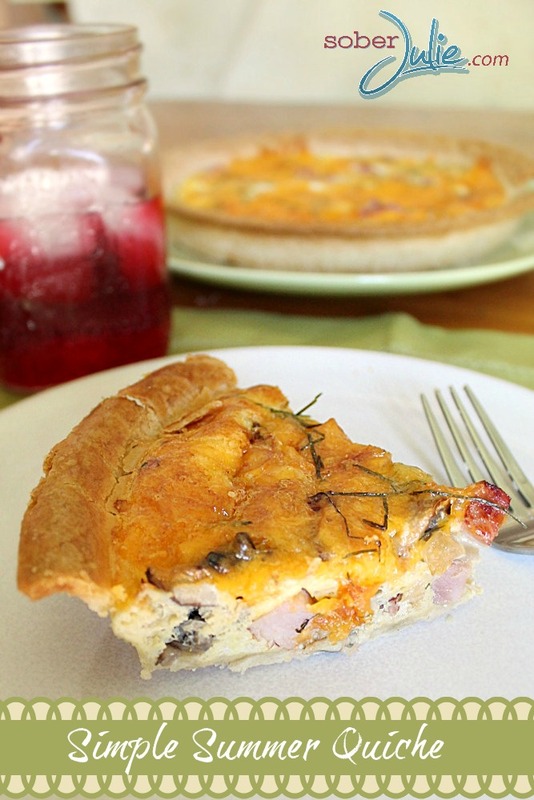 A crowd favourite during summer gatherings around here has always been Quiche. 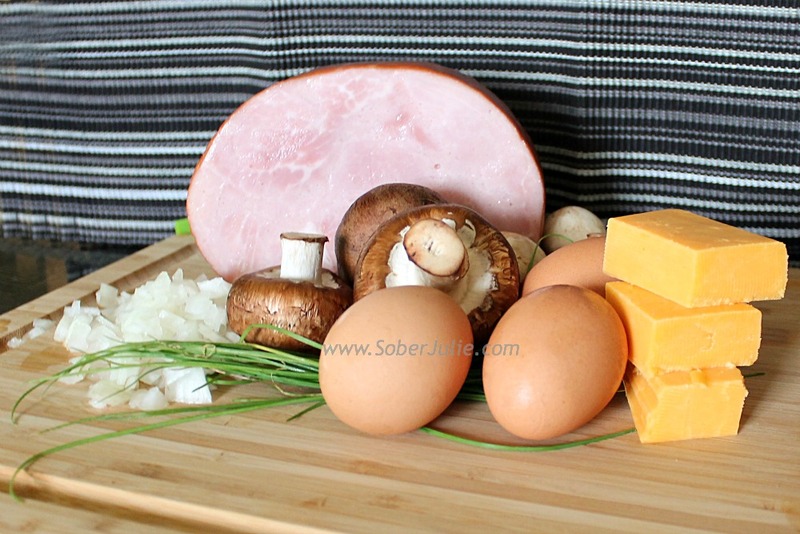 There are millions variations on the standard Quiche recipe but today I’m sharing with you my simple answer which can be whipped up in minutes! This recipe begins with a pre-made pie crust, while some of you may be gasping in horror we all know that it’s a time saver and in these summer months when the kiddos are home I’m often glad for quick options. 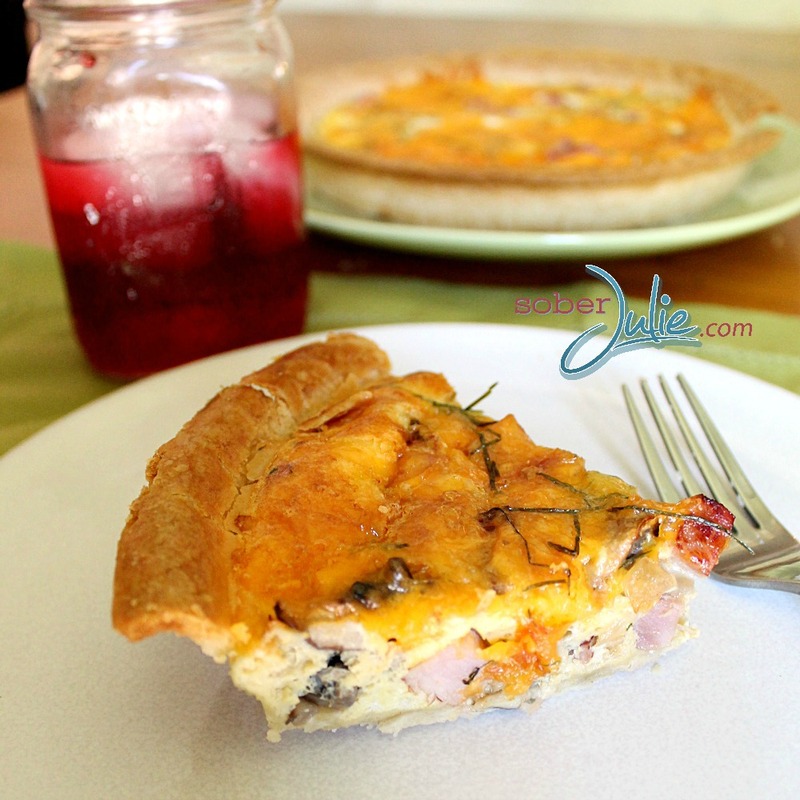 I keep a few pre-made crusts in the fridge and as long as I have eggs and cheese I can make up a Quiche at any time. This recipe is somewhat traditional, I’m using onions, ham, mushroom, cheddar cheese and red peppers. It’s a simple Summer Quiche recipe which can be made ahead and stored in the fridge until guests arrive. Turn on your oven to pre-heat to 400 degrees. Sauté the diced ham, chopped onions, red peppers and onions in the oil until they’re golden. 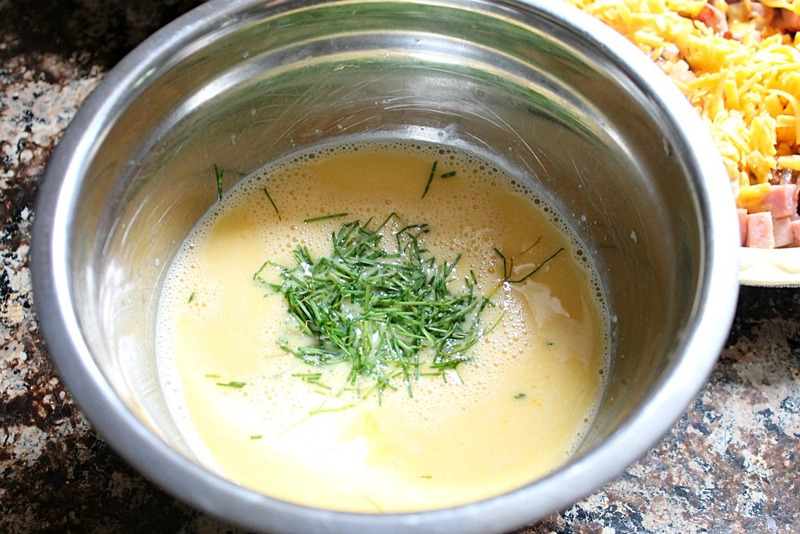 Crack eggs into a bowl, add in chopped chives, salt, pepper and milk and whisk until blended completely. 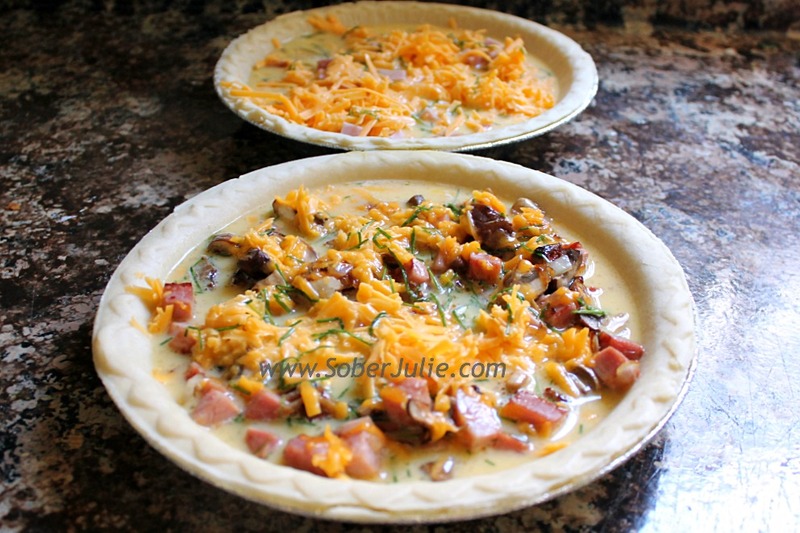 Place your sautéed mixture into the pie crust and pour in the egg mixture until it’s near the top of the crust. Remember that this will rise as it cooks so do not over fill. Top with cheddar cheese and you’re ready to place into your pre-heated oven. Bake for 40 minutes or until a knife inserted into the centre comes out clean and top is golden brown. Let it stand for 5 minutes before serving or serve cold. Turn on your oven to preheat to 400 degrees. 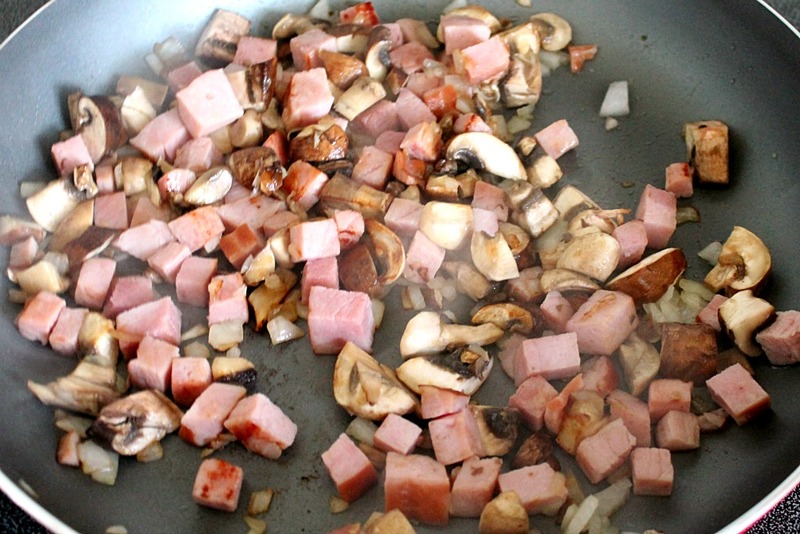 Sauté the diced ham, chopped onions, red peppers and onions in the oil until they’re golden. Place your sautéed mixture into the pie crust and pour in the egg mixture until it's near the top of the crust. Remember that this will rise as it cooks so do not over fill. Top with cheddar cheese and you're ready to place into your pre-heated oven. Bake for 40 minutes or until a knife inserted into the centre comes out clean and top is golden brown. Let it stand for 5 minutes before serving or serve cold. Do you prebake your crust first? I am new to making quicke. Thanks. I really dislike auto correct sometimes. That was suppose to say quiche. Today I made my first quiche! It was good, but the crust didn’t cook all the way thru. I was just wondering do you pre-bake yours?